"Across Safety Development has assisted the UK Civil Aviation Authority (CAA) by providing initial, refresher and advanced bowtie methodology and Bowtie XP software user training. Their trainers are enthusiastic and have great expertise, delivering the training to a very high standard. 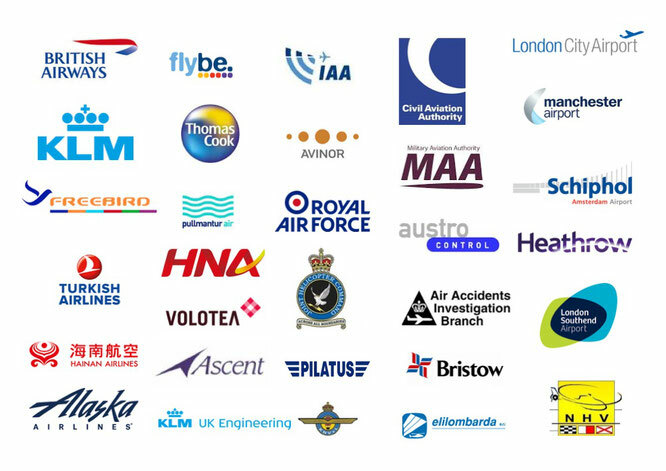 We also worked with Across on an innovative bowtie project to provide the aviation industry with bowtie templates relevant to the main industry risks. Their aviation experience and bowtie knowledge helped us create a product which is in high demand and we are very grateful for their assistance." "Across Safety delivered both ‘basic bowtie’ and ‘train the trainer’ training for HAECO Hong Kong. The training, which included workshops and interactive group sessions, was very well structured and delivered to a high standard. Throughout the training, the trainers enthusiasm, passion and expertise in the Bowtie methodology, as well as Aviation, shone through and he built up a good rapport with the participants. The material was thoughtfully crafted to fit with our operational environment and will be of great value to our organisation as we continue enhancing our Safety Risk programmes." "The whole package provided by Across Safety Development has been excellent, from our initial Bow Tie training sessions to the follow-up sessions further developing the content of our Bow Ties. The guidance provided in these sessions set us off in the right direction from the start, which is exactly what we hoped to achieve. As we now work with the Bow Ties, any questions or queries that arise are promptly answered by Across; this in turn helps to expand our knowledge of the software and its capabilities. In all, we would highly recommend Across Safety Development." "Across Safety delivered a two day Bowtie training course tailored to students from 15 different HNA Aviation units including airlines, airports and helicopter operations at our headquarters in China. The course was very thought provoking and provided us with a great insight into how we can benefit from using Bowtie in our risk management processes. "The Bow tie process will bring a new dimension to how we demonstrate operational risk in the business. The visual representation allows the users to quickly see where any deficits in risk mitigation (barriers) may exist and the potential consequences should the top event occur." "Following the delivery of 'in-house' BowTie training by Across at our Heathrow headquarters, we are happy to recommend the company and their BowTie training program to other operators. Having the workshop exercises customised to our operations was a big plus and the follow-up support after the course was also very helpful." "The BowTie training was clear, concise and right on target, with time for questions (and answers!)."